I like to say I summer on the island...of Manhattan. The central city's pace and congestion make it easy to forget there's soothing water views on all sides. Every now and then, its true island nature reasserts itself. 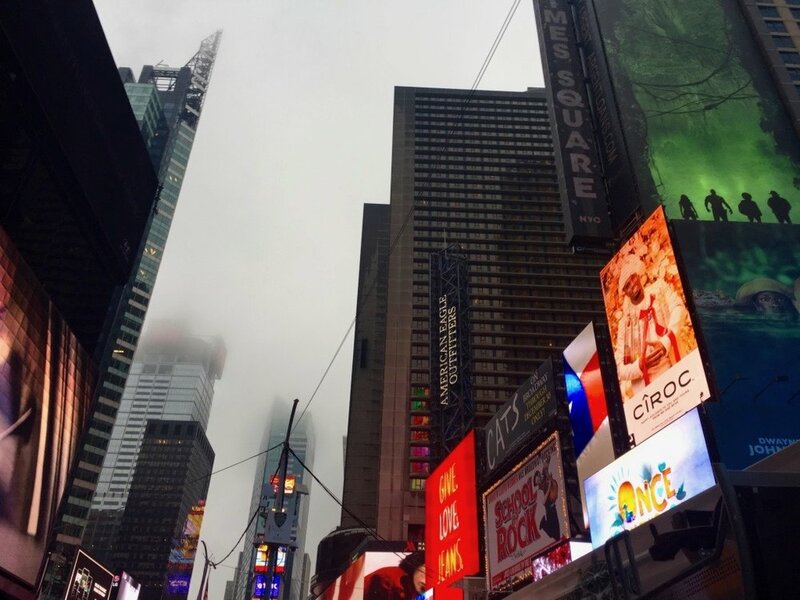 This almost mystical fog rolled into Times Square one early evening, haunting all the favorite haunts. It wrapped itself around tall buildings and spilled across wide avenues, dulling the city's brightest signs and blocks. Suddenly we were more like Seattle, Portland, San Francisco. The velvet coastal softness rarely makes it way so far inland and came as a surprise.